You can download the software on this page for free. If you like it, consider a donation so I can continue development. 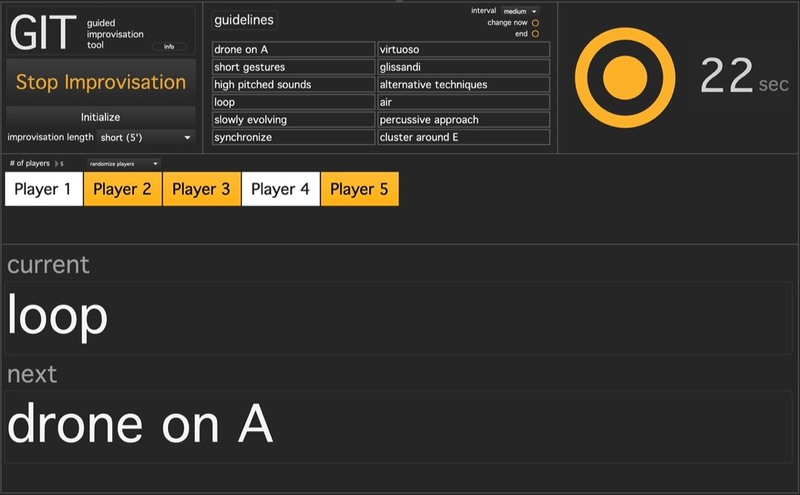 ULTOMATON is generative effects processor based on Conway's Game of Life. It is built to provide live electronic accompaniment for any acoustic improviser but can be used for so much more. It uses John Conway's Game of Life to trigger events. These events are reflected in changes of Ultomaton's effect parameters. Although the Game of Life is at the very core of this application, Ultomaton feels very much like a game of chance, which can be controlled by the performer to a great extent. As different settings have a considerable influence on the auditory result, Ultomaton provides a myriad of electronic backdrops to improvise with. GIT is an improvisation aid. It guides up to 20 improvising musicians by suggesting follow actions. download on Github.